I was recently contacted by Piccolo Ristorante with an offer to host a giveaway to their restaurant on my site. Y'all know how much I love a good giveaway, but I didn't feel comfortable hosting a giveaway to a restaurant I had never been to. So I decided to make the trek to casa del carajo Fort Lauderdale and check this place out for myself. What I found was a newly opened, cozy little bistro offering delicious Italian fare. I have to admit, I went into this place expecting chicken alfredo and baked ziti. So when I saw dishes on the menu I had never heard of, such as Eggplant Involtini, I knew I was in for a un-Americanized dinner. Speaking of the Eggplant Involtini, it was delicious. This was a thin slice of eggplant that had been cooked and then rolled up with their homemade cheese mix and then topped with marinara and more cheese. The eggplant was so tender you would've thought you were eating pasta. The cheese mix was fuhmazing and the marinara was wonderfully spiced. There's no pictures for this dish, because I'm a fatass and ate it before I could take photograph. 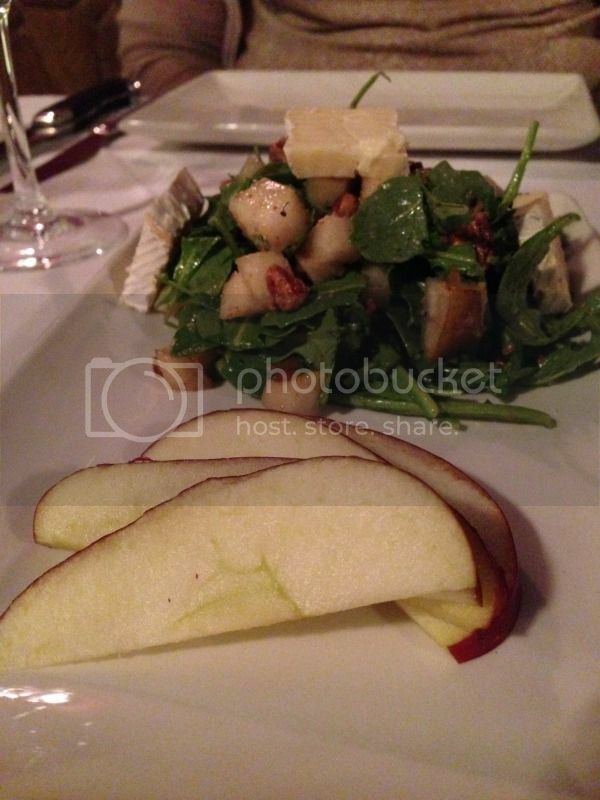 Along with the Involtini, my friend and I had their pear salad. 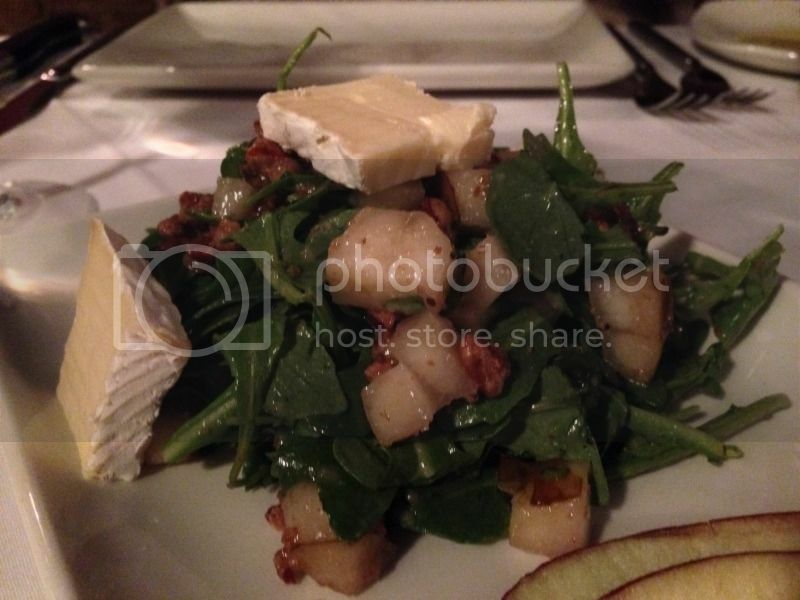 The pear salad was light and very tasty. Sliced apples, pears, homemade spicy pecans, rucula and brie cheese. I then had their pear gnocchi, which was really interesting. 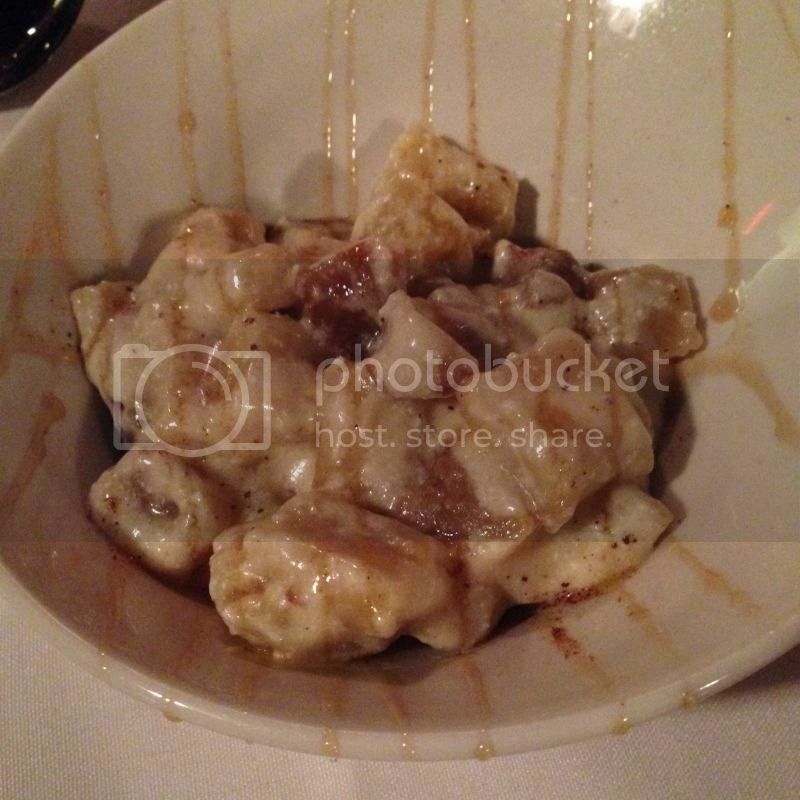 The house-made gnocchi is tossed in a four cheese sauce along with poached pears and a touch of nutmeg. This really messed with my taste buds. At first you get the sweetness from the pears and the nutmeg and the you're hit with the saltiness from the cheese sauce. I could've easily eaten an entire pot of this stuff. Their ravioli (like the majority of the pasta at this place) is made in-house. 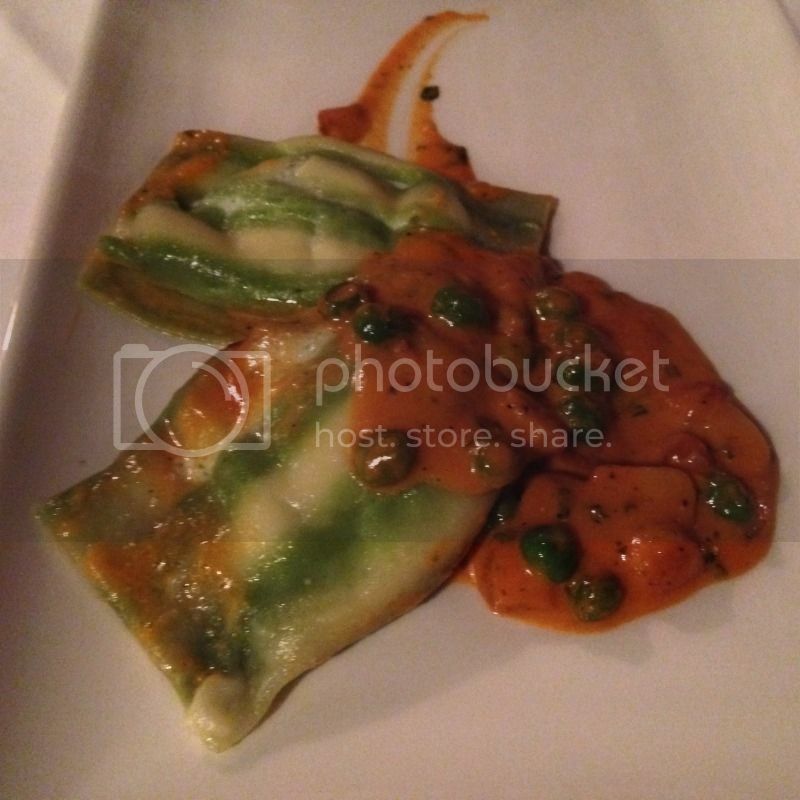 It was a lively striped ravioli made of both spinach and regular pasta. The ravioli was as delicious as it was colorful. It was stuffed with their delicious cheese mix and topped with a vodka-esque sauce and capers. After all of this, I was ready to throw in the towel, but my friend and I decided to check out their dessert. 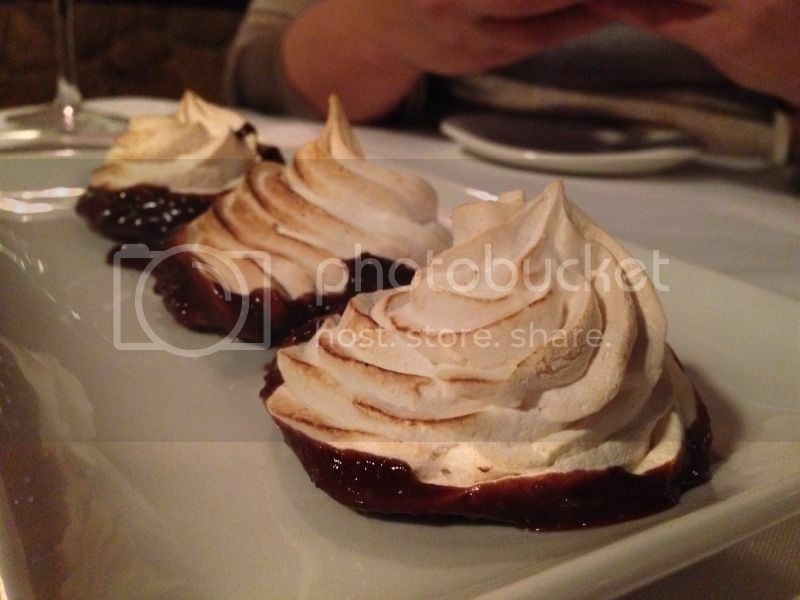 We went with their homemade hazelnut meringues dipped in espresso infused chocolate. The chocolate was overpowering, so you did lose a bit of the hazelnut flavor. I was pleasantly surprised with this restaurant. Not only were they doing non-conventional dishes, but almost everything is made in-house. I won't hesitate to check this restaurant out again the next time I'm in Broward. Naturally, I've agreed to host a giveaway and I'm offering you the chance to win a $150 gift certificate so you can check this place out for yourself! Winner will be announced November 15, 2013. My favorite Italian dish is Chicken Frances! My favorite Italian dish is Lasagne Bolognese al Forno made in my own kitchen. I love the way the house smells as this wonderful sauce simmers most of the afternoon! Pasta Carbonara! Great giveaway - crossing fingers! I love Italian food but it's so hard to find a good Italian place that hasn't "Americanized" it's dishes. The dishes you've written about here sound absolutely delicious, especially the eggplant involtini! Everything looks so yummy, specially the pear gnocchi. It would definitely be worth the trip from Homestead to Ft Lauderdale. I love veal parmesan with the most tender veal! Veal Parmigiana . . . Deep Dish Pizza from Giordano's . . .